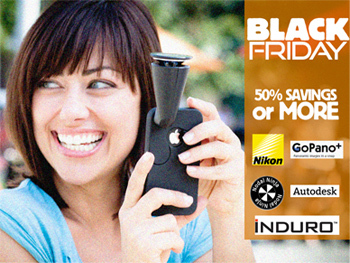 Save hundreds of dollars on CLOSE OUTs, DEMO equipment and refurbished cameras from Nikon and Canon. The best business voice mail system ever. Set up mail box voice mails with an easy tree-based structure. Incoming calls are saved as MP3 files and then emailed to your remote staff around the world. Includes version 6.0.3 PhoneValet and USB Phone dongle for (1) phone line. Only (1) left in stock. CALL TO ORDER. ONLY 1 IN STOCK. Brand new. Last one in stock. Never used. Comes with PhotoWarp -- the famous no stitching software for Mac or PC. Nikon refurbished D90 with (4) SD Cards, (1) SD Card Reader and a brand new Storm Case with custom foam. Nikon comes with Diamond 2-Year Total Coverage Warranty. Covers drops, spills and intentional damage. CALL TO ORDER. ONLY (1) IN STOCK. 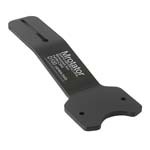 If you still have a Nikon CoolPix 8400 and the Nikon FC-E9 Lens, this bracket is needed. For more accessories go to Agnos.com (6) Units in Stock. CALL TO ORDER. ONLY (6) IN STOCK. 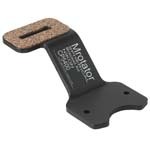 If you still have a Nikon CoolPix 8400 and the Nikon FC-E9 Lens, this bracket is needed. For more accessories go to Agnos.com (1) Units in Stock. If you need the Agnos D100 bracket for use with the Agnos M Rotator B, we have (1) left in stock at a blow out price. For more accessories go to Agnos.com (6) Units in Stock. 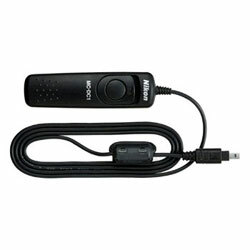 If you have a Nikon D70, we have a box of brand new remote shutter release cables from Agnos. CALL TO ORDER. ONLY (4) IN STOCK. The original is hard to kill. Used, but perfect working shape, this is Bartman's 3047 Manfrotto tilt/pan head and comes with a Quick Release (brand new in box). Original printing, limited edition "Think Different," poster featuring Thomas Alva Edison. Very rare. From Bartman's personal Apple Collection. Only (1) In stock. These posters are going up in value and are already (rare) collectors items for Apple evangelists. Original printing, limited edition "Think Different," poster featuring Hollywood visionary, Alfred Hitchcock. Very rare. From Bartman's personal Apple Collection. Only (1) In stock. These posters are going up in value and are already (rare) collectors items for Apple evangelists. Original printing and never sold to the public, this is a genuine Apple poster used only in Apple Stores advertising Apple's 10.2 OS.